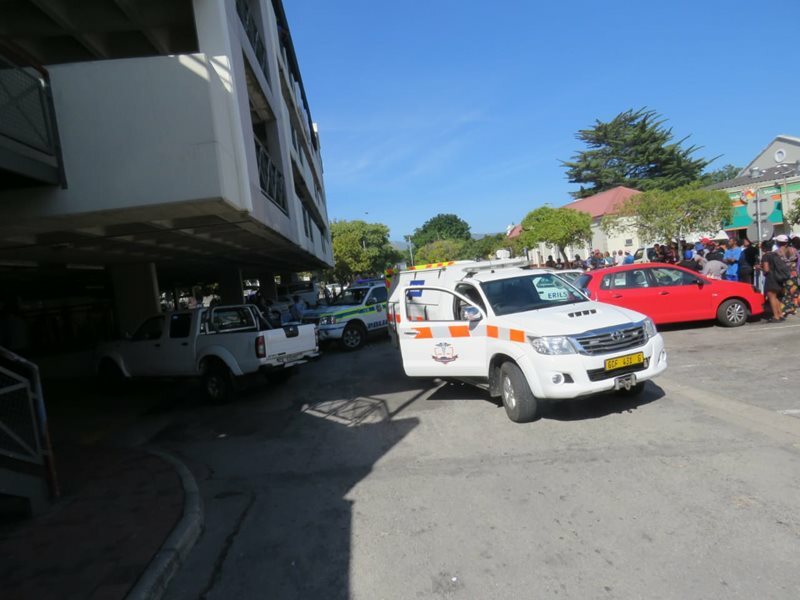 KNYSNA NEWS - A large crowd of shocked people gathered at Woodmill Lane shopping centre in Knysna this morning (Wednesday 10 April) after a woman in her 50s from Plettenberg Bay apparently committed suicide. It is believed that she jumped from the third floor of the parking lot. Emergency vehicles responded to the scene. Information courtesy of Knysna-Plett Herald.